Building a collection can be the work of a lifetime. Selling is often a much quicker affair. 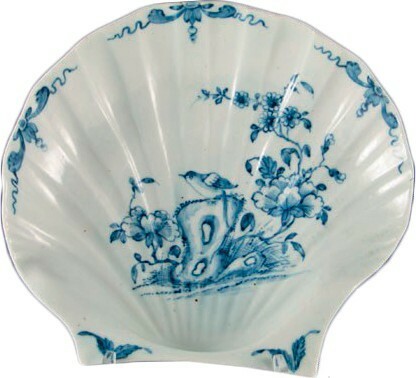 But dealer Haydn Hansell of Juno Antiques is being far from hasty when it comes to the fine assortment of mostly 18th century porcelain he offers this year. Amassed by a single English collector over more than 40 years, the 200-plus group will be parcelled out in sections of about 20 at a time over the next 12 months and offered on the Juno website. The first set, which went live earlier this month, has already started selling, and much more is to come as the dealer researches and photographs each piece. Priced from a couple of hundred pounds to prices in the mid-four figures, the collection represents a wide range of factories and shapes, featuring “tiles to teapots and everything in between,” Hansell says. The first batch, for example, includes a 1745 Meissen tureen, combining Gotzkowsky moulded flower decoration with flower painting, a c.1775 Fürstenberg figure of Il Capitano from Commedia dell’Arte and a rare Bow candlestick modelled as a rococo vase. Gathered by a connoisseur and presented by an expert, the rolling online show is an ideal hunting ground for the established collector and a way for those just starting out to learn about the various fields represented. 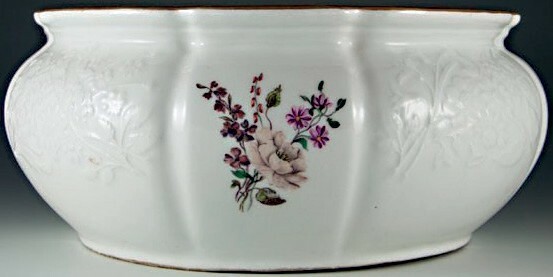 Hansell was raised in the Potteries, his family having worked for various Staffordshire manufacturers for several generations. This sparked an appreciation for ceramics and led to later experience working for the Victoria and Albert Museum and the Birmingham Museum and Art Gallery. The next instalment on the Juno Antiques website is planned to go live in March. 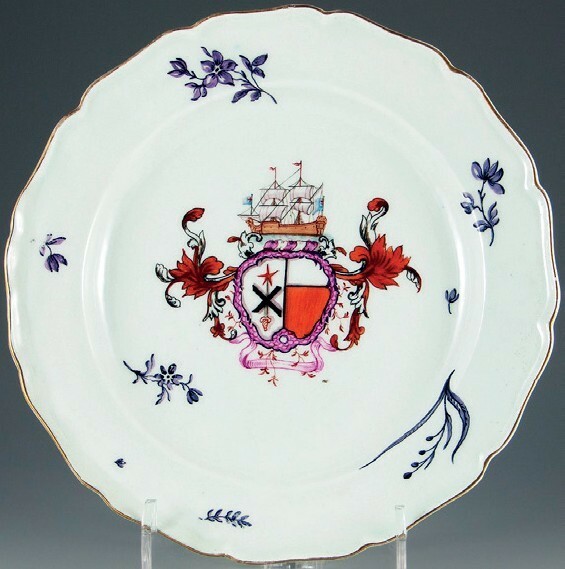 It includes this Worcester plate, above, c.1765-68, with the full arms of Gavin impaling Hearsey. 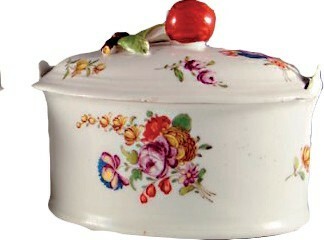 There is a particular emphasis on the Worcester manufactory in the collection, including several examples from its First Period of production. This popular collecting area spans the factory’s foundation in 1751 to its acquisition by Thomas Flight in 1783, generally comprising functional tableware, with decoration on the earliest examples reflecting Oriental influences. 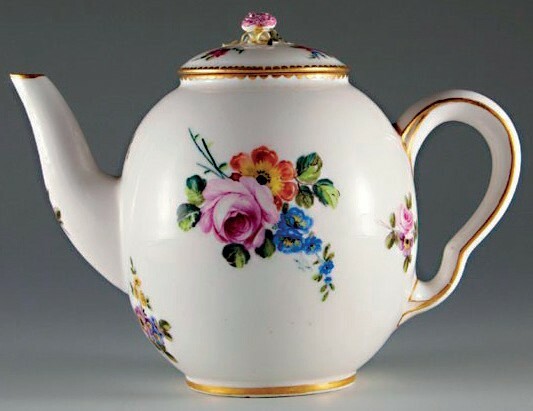 An early teapot and coffee pot, each from the early 1750s, decorated with unique patterns inspired by Chinese porcelain, are among the examples to come from this collection, for example. Meanwhile, one of the pieces currently on offer is a large Worcester pickle tray or dish from c.1755-58 finely painted in underglaze blue. Some of the pieces available were passed down from the collector’s grandparents, who originally instilled in him an interest in ceramics. Other offerings reflect his passion for hunting down pieces with an interesting provenance. Many can be traced back to prominent sales such as that of the Zorensky Collection, a mammoth assemblage of First Period Worcester auctioned in a series of sales at Bonhams in from 2004-06. “Ceramics are perhaps one of the most tactile of the decorative arts, for we come into contact with them on a daily basis, whenever we eat or drink,” Hansell says. Other areas of strength include cutlery with ceramic handles, with examples from Bow, Chelsea, Doccia, and Meissen, and original fitted cases of Mennecy knives and Saint-Cloud knives and forks. 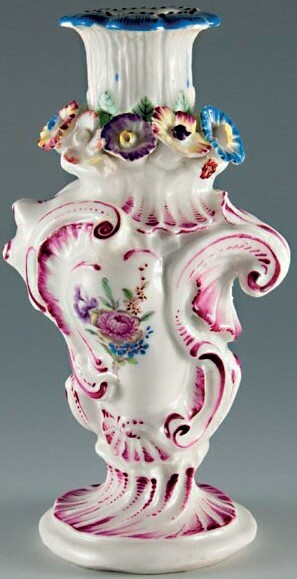 The collection also includes 10 rare examples of armorials on English porcelain, including an important Liverpool punch bowl of c.1755-61, painted with the arms of the Earl of Hume, and a rare Worcester knife and fork of c.1757, the hafts painted with the arms of Stoughton of Ballyhorgan, County Kerry.